YouTube Premium, Netflix, CBS All Access, and Amazon Prime Video have all released new previews and info for several of their upcoming series and films. 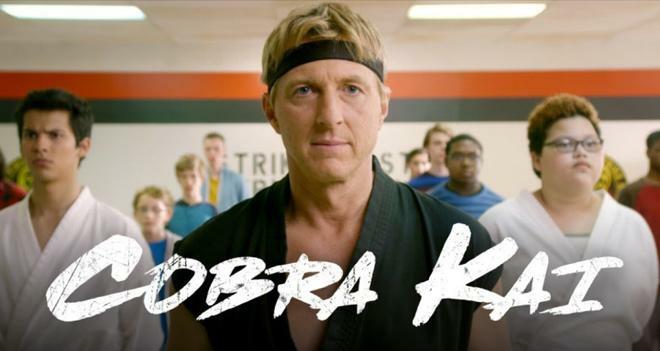 Cobra Kai (YouTube Premium, April 24) - Cobra Kai may have won the battle, but the war has just begun. Watch Johnny Lawrence and Daniel LaRusso pick up where they left off in Season 1, and train a new generation in the way of karate. But will their past get in the way of what truly matters? Persona (Netflix, Now Streaming) - An anthology series composed of four short films, each of which is directed by four critically acclaimed directors. Persona depicts four personas played by Lee Ji-eun, through the lenses of the directors’ unique storytelling. Each short film has its own title - Love Set, Collector, Walking at Night and Kiss Burn in the order of appearance. The Ruthless (Netflix, April 19) - Santo Russo, a Calabrian who grew up in the hinterland, after the first thefts in the suburbs and the juvenile prison, decides to follow his aspirations and to undertake definitively the life of the criminal. Within a few years he becomes the mind and the armed wing of a powerful and feared gang, launching himself into increasingly dirty and profitable business: robbery, kidnapping, drug trafficking, money laundering, and not least “miracles”: bloodshed executions. In his unbridled race towards wealth and social satisfaction, Santo Russo is divided between two women: his wife, submissive and devoted, and his lover, a beautiful woman, elegant and unattainable. Two antipodal choices of life and two opposite faces of himself. Extremely Wicked, Shockingly Evil and Vile (Netflix, May 3) - A chronicle of the crimes of Ted Bundy from the perspective of Liz, his longtime girlfriend, who refused to believe the truth about him for years. Directed by Academy Award®-nominated filmmaker Joe Berlinger and starring Zac Efron, Lily Collins, Kaya Scodelario, Jeffrey Donovan, Angela Sarafyan, Dylan Baker, Brian Geraghty, Terry Kinney, Haley Joel Osment, James Hetfield, Grace Victoria Cox with Jim Parsons and John Malkovich. Dead to Me (Netflix, May 3) - A powerful friendship blossoms between a tightly wound widow and a free spirit with a shocking secret in this darkly comic series. starring Christina Applegate and Linda Cardellini. The Society (Netflix, May 10) - Follows a group of teenagers who are mysteriously transported to a facsimile of their wealthy New England town, left without any trace of their parents. As they struggle to figure out what has happened to them and how to get home, they must establish order and form alliances if they want to survive. The series is a modern take on Lord of the Flies. Money Heist: Part 3 (Netflix, July 19) - Eight thieves take hostages and lock themselves in the Royal Mint of Spain as a criminal mastermind manipulates the police to carry out his plan. Top Boy (Netflix, Fall 2019) - The new episodes pick up as Dushane (Ashley Walters) returns from exile to his home in London to reclaim his throne in the highly lucrative drug market. He teams up with Sully (Kane Robinson), his spiritual brother, partner, and sometime rival who is also returning to the same streets after his own form of exile – prison – comes to an end. Awaiting them both is Jamie, the young, hungry and ruthless gang leader whose ambitions leave no place for Dushane and Sully. As reported by Variety, Netflix has also announced the cast for its upcoming Cowboy Bebop series. The show is a live-action adaptation of the 1998 anime series of the same name, which follows a group of bounty hunters in the future. 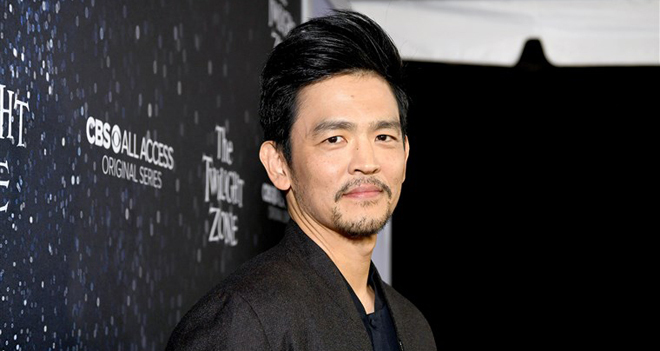 John Cho will star as Spike Spiegel, along with Mustafa Shakir as Jet Black, Daniella Pineda as Faye Valentine, and Alex Hassell as Vicious. Netflix has picked up the show for a 10-episode order. The Twilight Zone (CBS All Access, April 11) - Episode 3, "Replay," stars Sanaa Lathan and is hosted by Academy Award winner Jordan Peele. Nina (Lathan)'s old camcorder can rewind time, but can it help her ensure the future of her college-bound son Dorian (Damson Idris)? Glenn Fleshler and Steve Harris guest star. #FreeMeek (Amazon Prime Video, Summer 2019) - An upcoming documentary series that will follow Meek and his fight for exoneration while exposing flaws in the criminal justice system. In collaboration with Meek and executive producers Shawn Carter, Eli Holzman, Aaron Saidman, Paul and Isaac Solotaroff, and produced by Roc Nation and The Intellectual Property Corporation (IPC), the series will give viewers unprecedented access to the star's life, career, and criminal justice odyssey, while demonstrating the negative effects long tail probation is having on urban communities of color. - A current YouTube Premium subscription costs $12 per month. - A current Amazon Prime subscription costs $119 per year or $13 per month. Likewise, Prime Video is available as a standalone service for $9 per month.